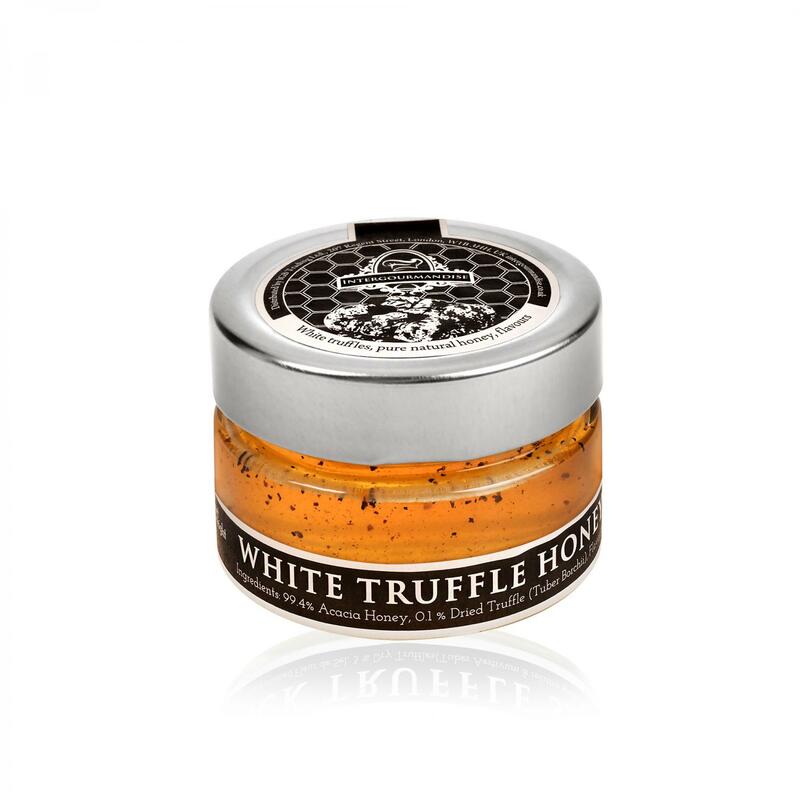 Intergourmandise Acacia White Truffle Honey is an incredibly harmonious blend of white truffles and Acaia honey. Ingredients: Acacia Honey, White Truffles (1%), White Truffle flavour. How to use: White Truffle Honey is perfectly paired with strong cheese or used as a glaze for game birds, chicken and even skirt steak. How to store: Store in cool and dry place. After opening seal cap tight.